Refugee Welcome Schools is a framework for welcoming refugees to a school community. 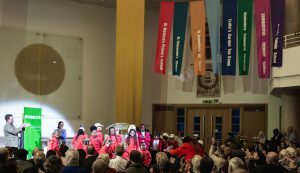 Developed in South London in 2016, it provides schools with a framework for planning, raising awareness and taking action to improve, the experience of refugee children and their families arriving in the UK. 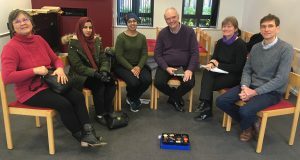 Evidence from pilot schools in London, Birmingham and Cardiff, suggests that this process helps to strengthen a school community as well as enhance the experience of refugees within it. 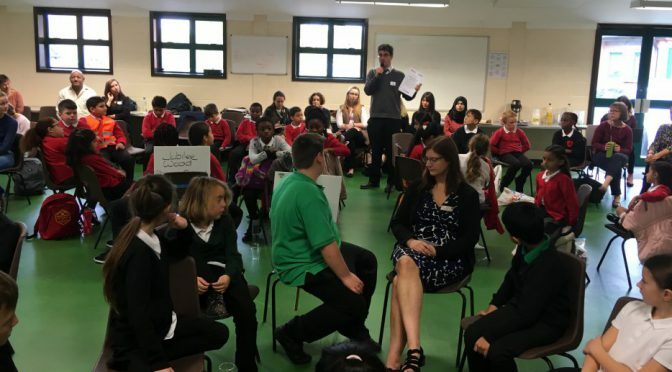 At Citizens:mk’s One-Day Training for School Councillors on 5th October 2018, 63 pupils from five member schools voted to prioritise the campaign goal of ‘becoming a Refugees Welcome School’ with the main aim being to persuade their number one power-holder, i.e. head teacher and/or chair of governors, to formally agree it. To support this goal, a Refugees Welcome Schools breakfast launch was hosted by Grant Thornton and Dentons LLP UKMEA on Thursday 28th November – see news story. This follows the start-up of a Citizens:mk Refugees Welcome campaign which grew fast three years ago and is now an independent legal entity, rwmk.org.uk.